Due to their decreasing costs, lithium-ion batteries now dominate a range of applications including electric vehicles, computers, and consumer electronics. You might only think about energy storage when your laptop or cellphone is running out of juice, but utilities can plug bigger versions into the electric grid. And thanks to rapidly declining lithium-ion battery prices, using energy storage to stretch electricity generation capacity. Could Pool Pumps ‘Store’ Renewable Energy Better than Giant Batteries? About half of the new generation capacity built in the U.S. annually since 2014 has come from solar, wind, or other renewable sources. Natural gas plants make up the much of the rest but in the future, that industry may need to compete with energy storage for market share. So far, utilities have only installed the equivalent of one or two traditional power plants in grid-scale lithium-ion battery projects, all since 2015. But across California, Texas, the Midwest, and New England, these devices are benefiting the overall grid by improving operations and bridging gaps when consumers need more power than usual. 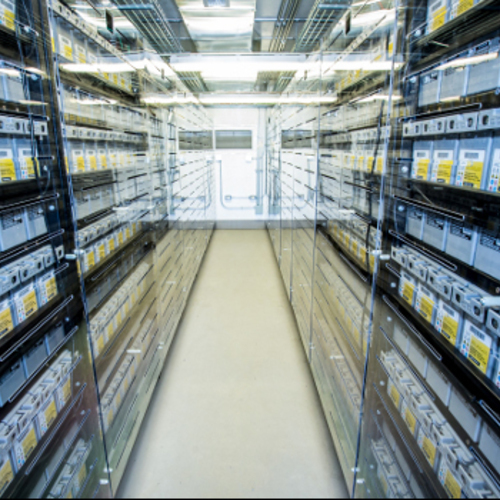 Even before batteries could be used for large-scale energy storage, it was hard for utilities to make long-term plans due to uncertainty about what to expect. Something we learned during our storage study is illustrative. We found that lithium-ion batteries at 2019 prices were a bit too expensive in North Carolina to compete with natural gas peaker plants — the natural gas plants used occasionally when electricity demand spikes. However, when we modeled projected 2030 battery prices, energy storage proved to be the more cost-effective option. Jeremiah Johnson and Joseph F. DeCarolis are associate professors of environmental engineering at North Carolina State University. This article is republished from The Conversation under a Creative Commons license. Read the original article. I dislike it when I can't disagree somewhat with an article and usually only comment when I DO disagree. However, this article brings such a breath of fresh air to the usual stale arguments against renewables that I really need to commend it. Energy storage at scale is really the answer and is the cheapest and most efficient way to integrate renewables into the grid. It probably isn't immediately required in states that have low contributions of renewable energy. Demand response and other means can be efficient and reliable in those cases. But in areas that have high peak energy demands that are out of the ordinary, or in areas that already have substantial contributions from solar and wind then storage at scale will be the answer. When renewables get up to 70 or 80 percent of total energy usage then some form of battery technology at scale is really the only answer that will work. I'm really glad the authors of this article understand this and are communicating it publicly. One can argue about the efficacy of other ways of balancing energy requirements from peak loads and intermittent renewables but at some point storage always comes into the picture. One doesn't call up a car company and ask them to send the parts to you so you can assemble them into a car for yourself. Mass production and assembly at scale is the proven way to get anything done efficiently and quickly. >"Energy storage at scale is really the answer and is the cheapest and most efficient way to integrate renewables into the grid. It probably isn't immediately required in states that have low contributions of renewable energy." Maybe storage is not a requirement, but even in locations with LOW penetrations of renewables, new battery storage married new PV (or no PV) is often beating fast ramping gas or oil fired peakers on both cost and the precision & speed of ancillary services. But it doesn't have to be chemical batteries. Designing electricity markets to better utilize differing characteristics of different types of power generation or storage will be require to approach the optimal value of each. A pumped hydro solution can do a lot of bulk-power storage, time shifting & peak power service, but isn't a the optimal solution for frequency & voltage control. 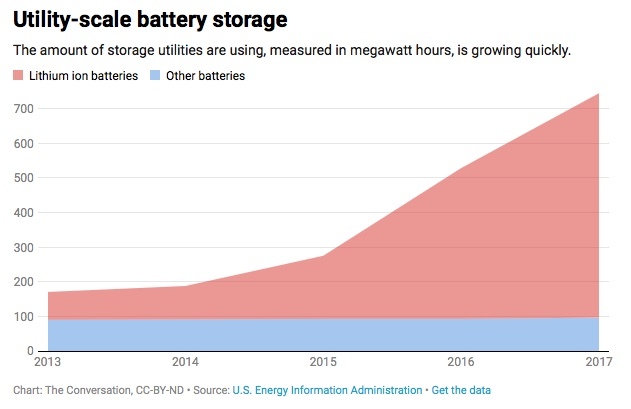 The high energy density and portability of lithium ion storage aren't need for grid storage solutions, and there's no guarantee that it will stay ahead of the cost curves of other approaches. Lithium ion isn't necessarily going to beat other approaches on slightly longer term bulk power storage either. But even short term storage on existing low/no renewables grids can be financially rational when the ancillary services value is stacked onto the ability to avoid upgrading transmission assets, getting more net throughput on the same wires and transformers. A handful of years ago Jim Robo, CEO of the utility NexEra predicted that the last gas fired peaker to go into service in the US would happen by 2020. He may have missed the mark by months, but not years. He was in good company, then CEO of NRG David Crane was making similar statements at about that time. Batteries will be/are a solution for replacing natural gas peaker generation. But not for long periods where there it little sun or wind. I think it's nonsensical to report $/kWh for batteries (ie, without including cycle count). >"I think it's nonsensical to report $/kWh for batteries (ie, without including cycle count)." The cycle count is irrelevant. The battery life is built into the lifecycle levelized cost analysis. It's not any more nonsensical than assigning a lifecycle cost of energy to a generator, be it a wind farm or a nuke. Lazard does it right, unlike above. Who knows what cost they meant in the graph above mislabeled "cost per kilowatt hour". $/MWh, $/kW-year, $/kW capital cost? The graph they used was clipped from a Lazard report, but probably not the label. Argumentative much? All you need to do to get a fairly steady supply of intermittent renewable energy is to interconnect the renewables over a fairly wide geographic area. Somewhere the wind is blowing and there is no cloud cover. Also, how much money do you think it costs to compensate the limited lifespan of batteries when you can also get free energy from the sun and wind instead of using NG. It is not exactly an equation that is easily produced but that limited lifespan is compensated more than equitably by adding renewables to the mix and replacing fossil fuel use. Ocasio Cortez has it exactly right when she implies that many people, especially men (and I'm one!) think that being cynical implies a certain 'gravitas'. That is what I see so much of on this site when it comes to the GND. It is a pathetic position to assume that only fools the frightened and threatened. It's entirely possible that one day that the grid might be built out to the point where afternoon solar from the SW US is powering the HVAC of commuters returning home on the Eastern seaboard. The State is going to try to force it to happen and simultaneously keep utility rates low. If Germany is an indicator it's going to be a bumpy ride. As for Cortez, she knows more about tending bar than economics. It's like listening to some student running for class President in high school that promises everyone will have free soda. Of course she's not unlike most politicians. They only know what their handlers are telling them. >"It's entirely possible that one day that the grid might be built out to the point where afternoon solar from the SW US is powering the HVAC of commuters returning home on the Eastern seaboard. " The cost of transmission lines need to be balanced against the cost of storage, and the speed of installing local storage is lightning fast compared to what it takes to design permit and build long high capacity transmission. It's clear that midwestern wind and souththern plains wind could be a valuable export to eastern markets (ergo the "Grain Belt Express" and other transmission projects https://www.grainbeltexpresscleanline.com/site/page/location ) But local storage is likely to happen quicker, due to the large number of bureaucracies and governments that need to sign off on transmission lines. It's about as complicated as getting an oil or gas pipeline sited. Eastern seaboard offshore wind is likely to be a major player before east-west transimission lines are sufficiently built out. From North Carolina to Maine the resource is pretty good, and like PV, batteries, and onshore wind the cost continues to fall at a very rapid rate. In New England the estimated capacity factors for offshore wind are north of 50%, and may hit 60% by the time some of the projects currently in the planning pipeline gets built. Germany's grid and policy planning model isn't a good proxy for how it would happen in the US. The resource (both wind & solar) and geography are much bigger US, but so is the diversity of political interests. A lot can happen fast within state and regional boundaries. Wind power keeps coming online in the upper Midwest with transmission lines already in place to provide power to the masses. The expansion will continue as wind farm leases offer an income opportunity for production grain farmers looking for additional revenue streams. Hydro storage is a good possibility as the source for some mighty rivers lie here. Very roughly 200 new cross country HVDC transmission lines (say $1T) and massive wind/solar over-provisioning (say another $1T). A very bumpy ride, but still cheaper than a small war. Carbon taxes (aka ending fossil fuel subsidies) would certainly help the economics. I get far greater costs if you don't have the transmission lines and try to use batteries to cover extended periods (say > 12 hours) without local wind or solar. >"A very bumpy ride, but still cheaper than a small war." The real question is if/when it cheaper than local storage or overbuilding & curtailing cheap renewables. 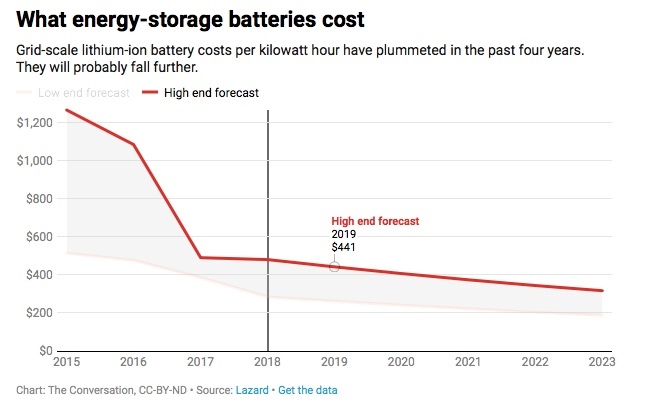 The cost numbers are all moving targets, with a downward trajectory on renewables and battery type storage which are technology, produced in quantity, with learning curves that respond to volumes. Transmission lines and pumped storage are (like large thermal power plants) infrastructure, and don't have the same sort of learning curve, and a much bigger NIMBY-delay problem. Infrastructure that might be cheaper than renewables & batteries on paper at 2019 pricing may not be cheaper in 2029, or even by the time the permitting is all done. Going balls to the walls on building out transmission infrastructure as "the solution" could be a costly error. Building a transmission line from the Chokecherry and Sierra Madre wind project in Wyoming west to the CAISO grid has been discussed for years, but remains to be seen if it will actually get built. (Probably will, but when?) The Massachusetts to Canadian hydro transmission line is considerably smaller, but even that is taking a long time to settle out. 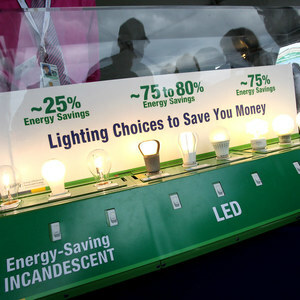 I'm all in favor of alternate and renewable energy sources combined with energy conservation and efficiency. I've always thought we should be working on alternate energy for the simple reason that fossil fuels are finite. 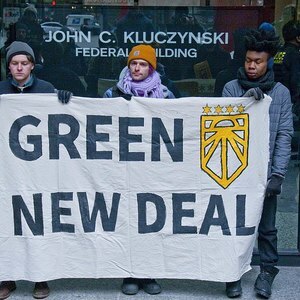 Some people may want to be cynical about the Green New Deal because they are just cynical by nature. But to carte blanche ignore the cynicism of some who have actual reasons is akin to "playing the race card." I think we need to address many of the issues listed in the GND, none of which are new ideas. My cynicism (actually it's realism) mostly enters over the claim that all this must be done in 10 years. It takes years to build one power plant yet we're going to reinvent the entire energy structure in only 10 years? And we're going to revamp the energy efficiency of every building in that same 10 year period? It doesn't seem to me that there is enough labor force or money to do all that work in such a short time period. 30 to 50 years might be more believable. In addition I've heard the question raised about whether there is enough lithium to supply the demand for all the batteries that will be needed? One website (Greentechmedia.com) says that at CURRENT consumption the lithium supply could last over 300 years. but to tap that supply to build all these electric cars and massive battery banks would wipe it out in about 15 years. The supply issue also makes me skeptical about the article projecting a lower price of lithium batteries in 2030. Lastly I don't see where guaranteeing income to someone "unwilling to work" or striving for income equality has anything to do with our energy issues. As for income equality I don't see why we should be concerned about a college graduate with special technical or medical knowledge earning more than someone who couldn't even bother themselves with graduating from high school. We certainly have economic issues to address, but some of the proposed solutions are more unfair than the problems they intend to solve. >" It takes years to build one power plant yet we're going to reinvent the entire energy structure in only 10 years?" Why yes, it can! Nobody in Iowa or Kansas or Oklahoma 10 years ago was predicting that a third or more of the power generated in those states would come from wind turbines. ( The solar party is just getting started in those states.). Green New Deal or not the transition is going to be fast, now that wind & solar + battery is cheaper than keeping the majority of existing thermal plants in the US operating. 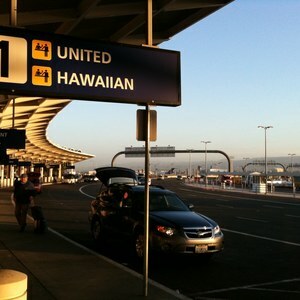 But it could be faster and more orderly WITH a plan than without one. With technologies that have a double-digit percentage learning curve 10 years is a lifetime, and wind (onshore and off), PV and batteries all have double-digit learning curves. >"In addition I've heard the question raised about whether there is enough lithium to supply the demand for all the batteries that will be needed?" This is a "who cares?" kind of thing. While lithium ion is the current cost/performance front runner due to investment by the portable electronics and automotive industries, competing battery chemistries already under development can beat them on cost if lithium becomes scarce or expensive. Only the automotive and portable electronics applications need the energy density of lithium ion batteries- a grid battery can have orders of magnitude greater weight per kwh without impacting function. The folks at Ambri refer to the high mass of their liquid metal battery packs as an "anti-theft" feature. Flow battery developers have plenty of room to lower cost too. 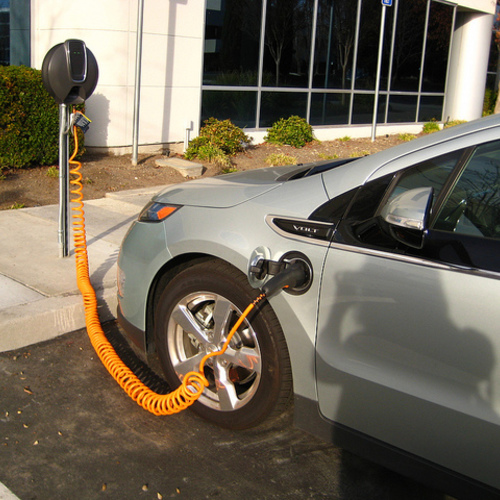 Automotive lithium ion batteries can and are being used in "second life" applications as grid batteries. Grid batteries don't need to be able to deliver anything like the current necessary to take the Model-S from 0-60mph in 3.2 seconds, and the charging cycles are easier to manage correctly in a grid batter than in a car. When they no longer have the capacity even for second-life grid battery applications the lithium can be recovered and recycled. Predicting which battery chemistry will be dominating in 2030 or what it's price will be is a bit of a fools errand, but the cost of batteries writ-large is not tied to the world supply of lithium. I'm all for a transition to greener energy. And to keep my original post short I did not mention several of the points you made. Absolutely we are not locked in to lithium as the only battery chemistry, nor batteries as the only energy storage method. Also worth mentioning is that many businesses only operate during the day so that they don't need much in the way of storage for solar energy. My biggest doubts about the GND is the 10 year time-frame, especially including the revamping of every building in the country. Certainly some percentage could be accomplished in that time, but I can imagine a longer time frame is more practical. >"My biggest doubts about the GND is the 10 year time-frame, especially including the revamping of every building in the country." A longer time frame might be more practical, but it also might not. And the level of building revamping necessary to get there is declining. (Passive House? Don't think so...) At today's energy pricing there is a lot of very cost effective low-hanging fruit in buildings and mechanical systems well worth going after. At 2030 energy pricing that may not be the case. It's still worth going after it sooner rather than later, but it's not a deal-breaker. 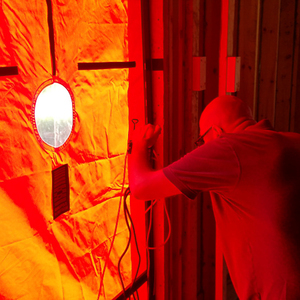 Most homes in the US can be heated/cooled with a 2-4 ton heat pump. Commercial buildings can do a lot better with heat pumps too, if given the right incentives (carrots are nice, but it can be done with just sticks too) , and generally have more rapid lifecycle turnover of mechanical systems than residential. 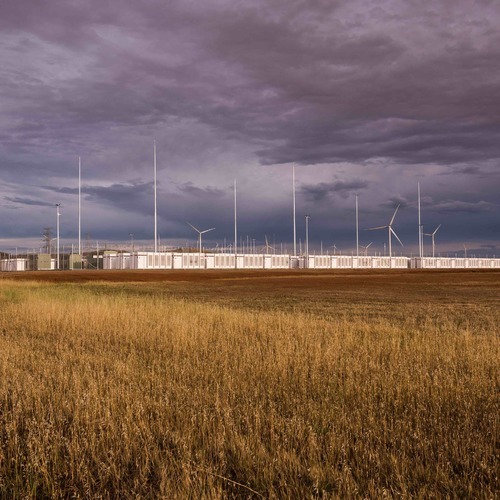 "Since 2012, the benchmark LCOE of lithium-ion batteries configured to supply four hours of grid power — a standard requirement for many grid services — has fallen by 74 percent, as extrapolated from historical data. In comparison, the LCOE per megawatt-hour for onshore wind, solar PV and offshore wind has fallen by 49 percent, 84 percent and 56 percent, respectively, since 2010." That's in less than 10 years, and with less capital or R & D distributed than is anticipated over the next TWO years. In 2012 nobody was thinking that the existing nuclear fleet would be more expensive than new wind or solar in 10 years. In another 10 years is ANY of that fossil or nuclear thermal stuff going to be competitive? It's not a good bet. With an orchestrated planned exist from fossil burning the local economic damage and degree of stranded asset can be substantially mitigated. If it is just left to develop "naturally" (as if anything in the highly structured and monopolized electricity markets is "natural"), it's going to be a very rough hit to both the labor and investors in fossil technology. Right now legislative efforts are trying to save coal power communities on a one-off basis to lower the impact on a case by case basis, but that's pretty thin gruel compared to what a more comprehensive approach would be. Colstrip, Montana, anyone? And most of it is going to happen in the next decade, Green New Deal or not. 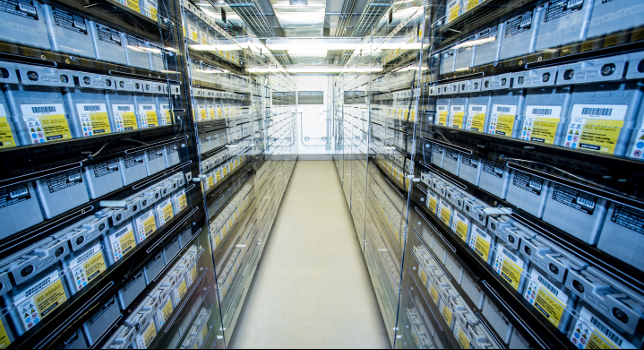 Energy storage is a risky business. Think about what a 10 gig watt battery fire would look like. Pumped Hydro seems safe until one sensors failure overflows the dam and releases 1.5 billion gallons of water washing away a state park. The whole thermal runaway thing for lithium ion battery packs has been well studied and made fairly fail-safe by the car-battery pack folks, for exactly those reasons. But lithium ion isn't competing with pumped hydro for bulk storage anyway. Molten salt storage is a proven technology with a good track record in Abengoa-style concentrated-solar thermal-electric plants, but highly flexible in form factor and heat inputs, and can easily serve as short term grid storage. The presumption that grid storage is all about chemical batteries isn't a good one, even though used car batteries suitable for grid applications will be ubiquitous and cheap in 10 years, the target grid application for chemical batteries in 10 years will probably be more on the frequency & voltage ancillary service end, not the generation capacity and bulk storage end. The economics of molten salt storage for bulk power may be compelling relative to batteries when the heat-to-electricity part already exists. The cost of coverting electricity to heat is tiny, and the cost of the storage tanks themselves are about an order of magnitude lower than current lithium ion batteries. The world leader for molten salt storage systems for power generation is a US company Solar Reserve, which is a supplier to Abengoa. While their focus has been on concentrating solar much of their technology (and patents) could easily apply to bulk power storage systems for the grid. Given the poor economics (and real estate requirements) of doing concentrating solar in the US, there may be a business case to be made for them to target grid storage solutions, which would have somewhat different features than a concentrating solar project. Read A Bright Future by Joseph Goldstein and Staffan Qvist. Then label this article as a half-step with lots of pollution from used batteries. Can some one post a chart comparing the energy loss from various storage systems? Pumped hydro, stacked weights, lithium batteries, etc. No one mentioned stored chilled water. Probably the most efficient energy storage system. In California, where the big problem is the summer time offset between peek supply (or potential pv supply) and peak demand, (cooling housing starting at about 5:00PM.) I would advocate for state mandated utility reverse metering incentives to home owners at peak demand hours. This would incentivize the development of small scale pv and battery storage. Institutions, such as universities, and any organization that are well suited for chilled water storage, should on the one hand be granted tax credits for installing such a system and high rates for power use during peak demand hours, on the other. >No one mentioned stored chilled water. Probably the most efficient energy storage system. Comparing application-specific thermal storage for thermal LOADS to storage that can feed power back to the GRID isn't apples-t0-apples. Useful for time shifting or peak shaving, sure, but It's not the same as molten salt storage driving steam turbines or a grid-scale Tesla pack, pumped hydro, or stacked weights. By deferring replacement & upgrades to the transmission cable for a couple decades it's likely that storage technology and renewables will become cheap enough to simply cut the cable on island communities that size ~30 miles from the mainland grid. Five years ago they would not have been going for the Tesla option over more diesel gensets- but the battery is now already cheaper and more useful. Can't do that with chilled/heated water storage. At near passive house insulation levels, even peak heating/cooling load for 24 hours needs less than a 5'x5'x5' water tank. Little added cost if you already have a hydronic system. Agreed, ice is even better (for cooling). Yes, chilled water only makes sense when the end use is cooling. In California the biggest peak demand problem is driven, primarily by that end use. I think more will be learned in the coming years at what scale chilled water storage for end use cooling and hot water storage for end use heating and or domestic hot water, will pencil out. My hunch is that if 48 volt DC heat pump water heaters and coolers come down in price, cutting out the inverter loss and utilizing the improved efficiency of the storage system and the 50 year cost of hardware involved, heating and cooling may well be handled this way on multi- family developments in areas with plentiful solar, such as California. A smaller, on site, lithium battery to handle the plug loads would still be in order. I think driving this with the proper incentives could mitigate the peak demand problem in California relatively quickly. Hundreds if not thousands of entrepreneurs in California are well suited to respond such a challenge. As the price of PV continues it's nose-dive and it's efficiency rises, the efficiency hit of the inverter becomes irrelevant. Even the DC current out of PV has to be power-optimized to not take big efficiency hit up front- it's not as if DC refrigeration equipment can be driven efficiently directly from the PV array. The turnaround efficiency of PV to battery to inverter to AC load isn't terrible hit, and it's getting better year on year. It's unlikely that a competing DC standard is going to take over the market from 120/240 VAC for residential equipment. Yes, technically it can be done, but there isn't any efficiency being gained there. 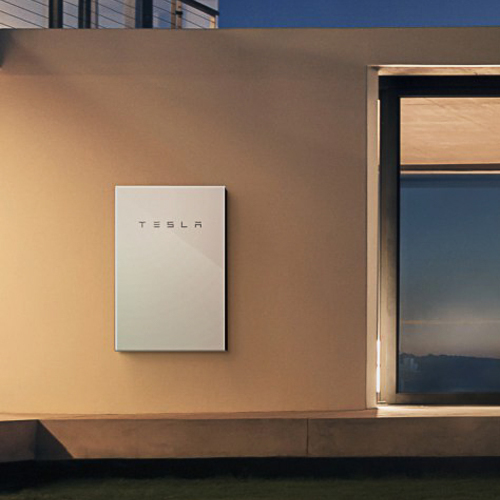 They probably have some type of PV power optimization built into the ECM drive control to deliver the most power possible when under-panelized/under-solarized. But doing it that way only makes sense if the panels are dirt cheap, and/or the grid is unavailable. Throwing 3 PV panels at one appliance that doesn't have a super high utilization rate on an annualized basis isn't the most productive use of the PV resource. "Can some one post a chart comparing the energy loss from various storage systems? Pumped hydro, stacked weights, lithium batteries, etc." It's in an archival journal, but I don't think it's paywalled. The economics are a bit dated (the article was published in 2009), but the rest should be relevant. Check out Table 1.